Tomato plants are easy to grow, yet they are susceptible to disease, which can make a season's hard work go to waste. Yellow leaves on tomato plants are an early indication that the plant is getting sick. A quick response is necessary, or the plant will experience reduced production or die. Yellow leaves at the base of the tomato plant are most likely a sign of early blight. Early blight is a fungal disease caused by the fungus Alternaria solani. Mississippi State University's website refers to early blight as "generally one of the most severe tomato problems faced by home gardeners each season." Wet spring weather, frequently experienced shortly after planting starter tomato plants, creates an environment that is favorable to blight. Plants are not early blight resistant, so it's up to you to take care of your tomato plants and diligently treat infections. Plants will produce a significantly smaller harvest, if at all, if early blight isn't treated. Planting tomatoes at least 4 feet apart in your garden minimizes the risk that blight or any other disease will spread to uninfected plants. Keep the soil moisture as consistent as possible, but avoid over watering plants. Cool, wet springtime weather is the ideal environment for the blight fungus to grow. Don't work in your garden when the foliage is wet--it's easier to spread disease-causing microorganisms. Rotating where you plant tomatoes in your garden every year and early applications of fungicide are other methods used to prevent early blight from overpowering tomato plants. Once signs of early blight appear, work quickly to minimize the problem. If you see leaves turning yellow, remove the infected leaves from the lower part of the plant. Dispose of the infected leaves instead of composting them. 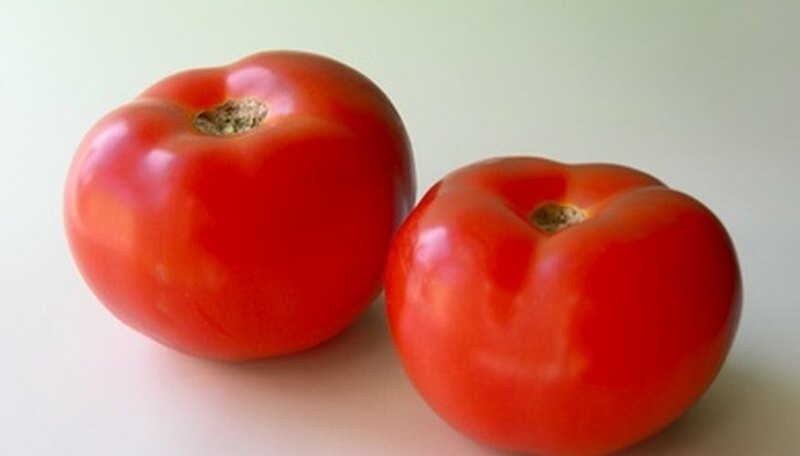 Texas A&M website recommends using daconil fungicide to spray your tomato plants every one to two weeks to keep the fungus under control. Make sure that tomato plants have sufficient air circulating around them to keep the leaves dry. Plants that are not treated for early blight will produce fewer and smaller fruit. As blight progresses, the yellowing and defoliation will work its way up the plant. Fruit that survives on the plant may be discolored because there weren't enough leaves to protect the fruit from the sun's heat. Consult your local county extension office for their recommendations. They are the garden experts in your area and can help you find effective treatments for blight.